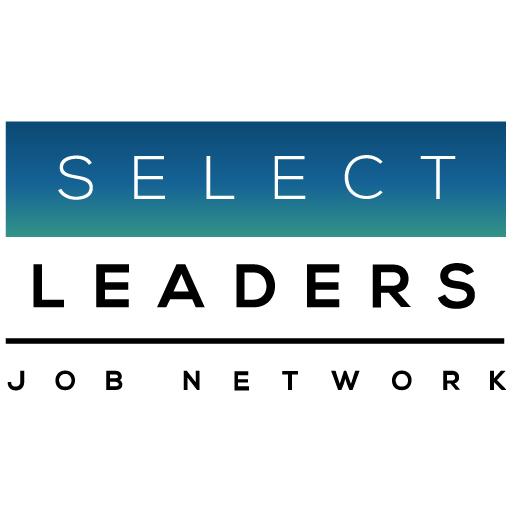 Hundreds of real estate professionals from every Association in the SelectLeaders Real Estate Job Network have taken our new Real Estate Leadership Assessment available on the home page of your Career Center. We are starting to perceive the unique Leadership Qualities that set our industry apart – both our strengths, and our weaknesses. The Real Estate Industry’s Leadership Qualities are least similar to leaders in the Arts, Education, and those who make Goods. 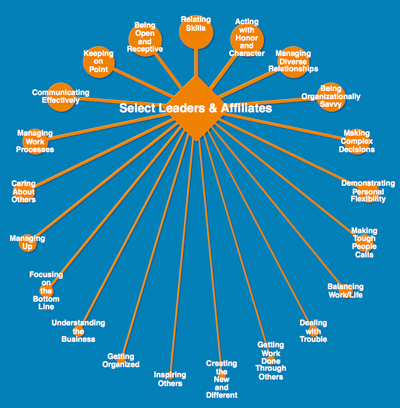 We are most similar to those who are successful in Law, Finance, and Service industries. 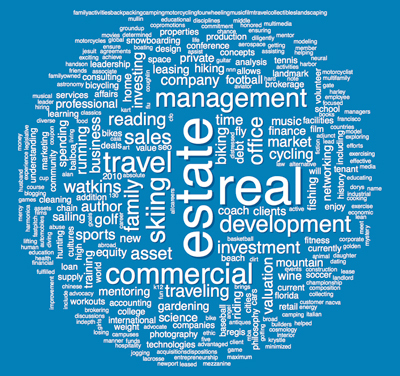 Shows words appearing in ‘interests’ of respondents. The overwhelming response to what we do on our days of…? What is our industry’s favorite hobby? Real Estate. Yes, Real Estate. When we get free time, we dabble in real estate. While there were mentions of skiing and golf and travel, they were far seconds compared to Real Estate, which topped the list of our perfect free time activity! This finding is consistent with our score on Balancing Work/Life. Success in real estate is dependent on the ability to work with others. While we may not always exhibit these traits daily among our colleagues, this is how our industry perceives itself in our business dealings.